QUOTE | “Perfect World as a public company has a profitability goal and they decided to cut parts of the company that were not profitable. 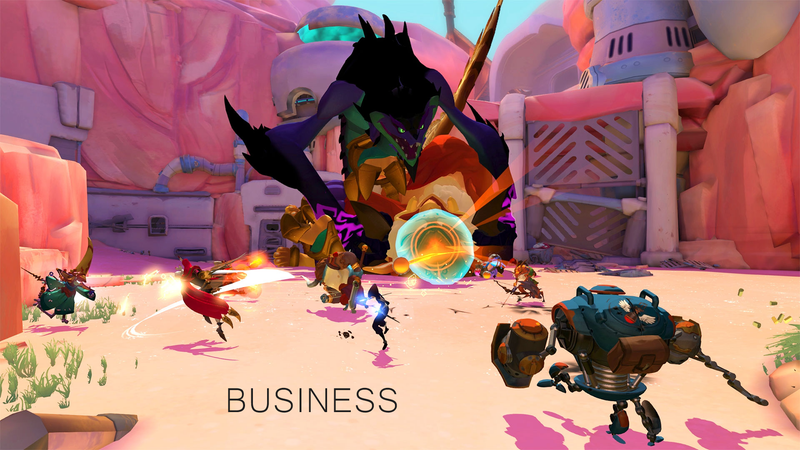 In short, Gigantic was not making enough revenue.” - Motiga founder and CEO Chris Chung says the closure of his studio was a corporate decision. QUOTE | “It’s bittersweet at this moment. The era, the ten-plus years that we’ve been mostly working on smaller, downloadable, arcade-inspired console games has come to an end.” - Ilari Kuittinen, CEO of Nex Machina and Resogun studio Housemarque, is leaving the arcade shoot-’em-up genre behind because there’s no audience for them. QUOTE | “We will continue to support our VR games but will not be making material VR investments until we see market conditions that justify further investments beyond what we have already made.” - CCP Games CEO Hilmar Veigar Pétursson says the studio is exiting the VR market for the time being. QUOTE | “Our fantasy of VR is something like Snow Crash or Ready Player One. It drives me crazy when people talk about those because they’re books, they’re not real guideposts for what we should be building. They’re narrative contrivances.” - Oculus executive producer Bernard Yee implores developers to build “non-obvious” VR experiences that capitalize on what the tech does well. QUOTE | “While Kinect started looking like VR, it very quickly reached its potential. I will tell you as we sit here today, whether this generation of VR, or a next generation of VR, one generation of VR will take over the world.” - Oculus VP of content Jason Rubin believes its fine to judge VR based on its theoretical potential while damning Kinect for what its actually offered in the first iteration of the technology. STAT | 14% - The amount of Activision Blizzards net revenues for the first nine months of the year that came from packaged retail games. That’s down from 22% last year at this time. More than half of Destiny copies sold have been downloaded. STAT | 16.74 million - The number of Switch consoles Nintendo expects to have sold by the end of its fiscal year (March 30). That would put it well ahead of the Wii U’s lifetime-to-date sales of 13.5 million after just over a year on shelves. The Wii U launched in November of 2012. QUOTE | “Games occupy an interesting space where they can act as art, as text, as education, as sport. The feeling that games need to function as a sport, with a focus on skill and goals led to a certain culture where only some games were marketed and talked about as ‘real games’.” - Monument Valley lead designer Ken Wong is using his upstart studio Mountains to explore new categories of games. QUOTE | “You shouldn’t want to break away from a big studio or go off and create your own if your number one goal is to make games - it should be because you want to make a great studio.” - Bonfire Studios founder and former Blizzard chief creative officer warns devs that starting your own studio means a lot of time spent away from development. QUOTE | “I also live in Silicon Valley, and you’re surrounded by people who start companies. And at some point, if you don’t do it, you’re kind of like an oddity within the community, so there was a social pressure to start working for myself as well.” - Red Accent Studios’ Greg Gobbi shares his motivations for founding the Shanghai and San Francisco-based development studio Red Accent.